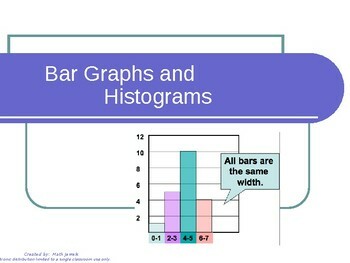 This instructional PowerPoint Show (.ppsx) illustrates how to make a bar graph and a histogram. 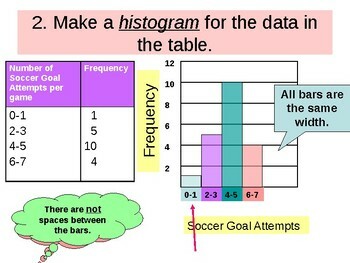 This item is included in the Statistics Instructional PowerPoint BUNDLE. In my class I formally teach new vocabulary. 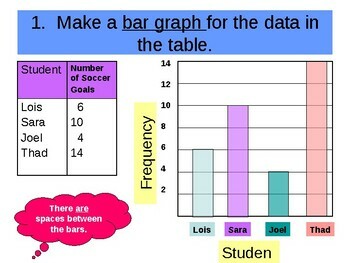 If you are interested this related item is invaluable to my students. Are you looking for a Word Wall?